Documentation and SupportReleases 2014-11-13 ReleasesCall URL Business Rule added. 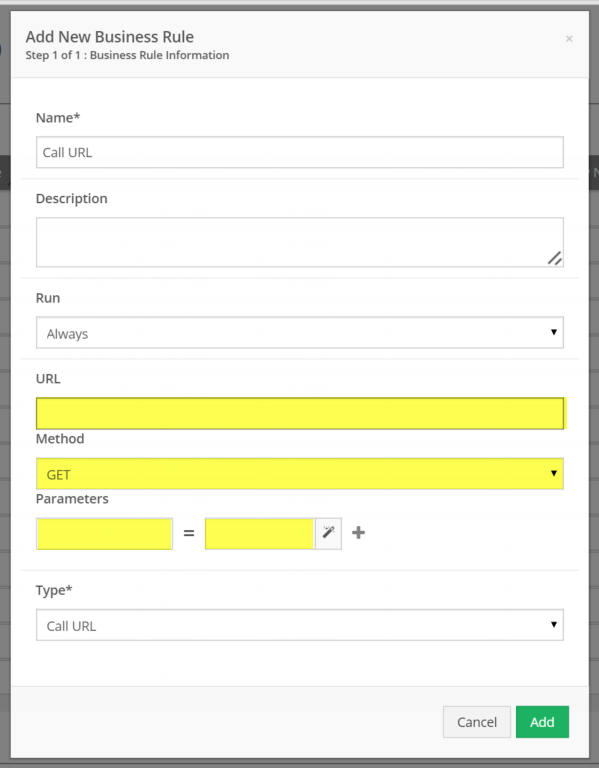 Enter URL to call, select request method (GET, POST, PUT, or DELETE), and enter any number of parameters. Prev: Time stamp added to table queued for import notification. Next: Trim Data Business Rule added.